Somewhere along the line work knocked me over and stole part of my summer. I remember June and the first part of July, but then it gets hazy. Summer evening walks in the park turned into summer evenings with me inside, blinds drawn, watching Disney movies. Lots and lots of Disney movies. I can take a movie or two a week, but three and four a day is where I stumble. The story lines of Pinocchio and Snow White and the Seven Dwarfs somehow began to blur together with Old Yeller and Miracle. My dreams were animated, but at the same time analytical. I was developing discussion guides in my sleep. But four weeks, many movies and 150+ pages of edited and designed work later (Discussion Guides for 37 Disney titles and curricula for Ramona and Beezus and the new Rob Reiner film, Flipped), the best team ever helped me get through some of the most taxing projects ever, and I’ve resurfaced just in time to thoroughly enjoy August and what remains of summer. Luckily I had my camera with me over the course of last month so I didn’t miss out on July entirely. Carrots. The only thing in our garden that the squirrels didn’t attack. 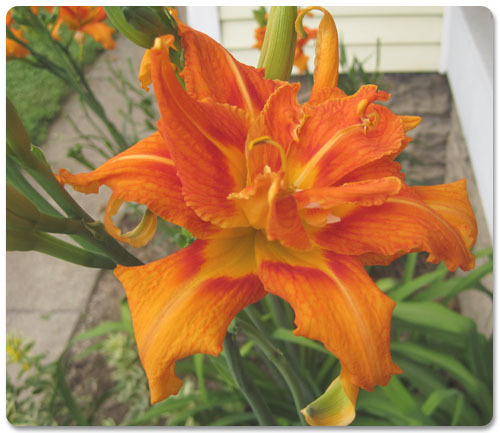 Orange Day Lilies. They bloomed late and just kept going. Surprise flowers. 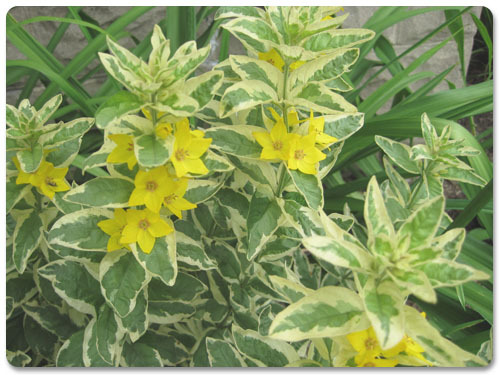 In the summer heat this simple plant has taken on a life of its own, complete with hidden yellow flowers. Jack. 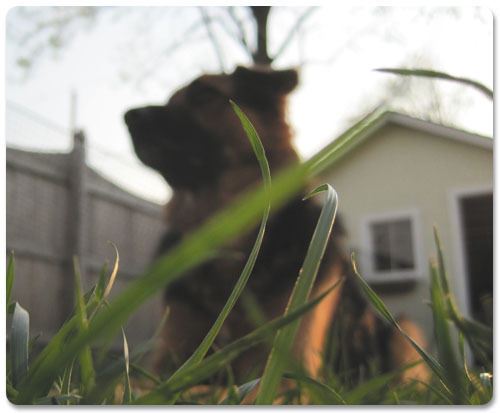 As always, at peace in the backyard (until someone makes a noise he doesn’t like). These are the records of summer that I’ll take into winter so I don’t forget what I can look forward to next summer. Sometimes I just need a gentle reminder that warmth and sunlight always return. 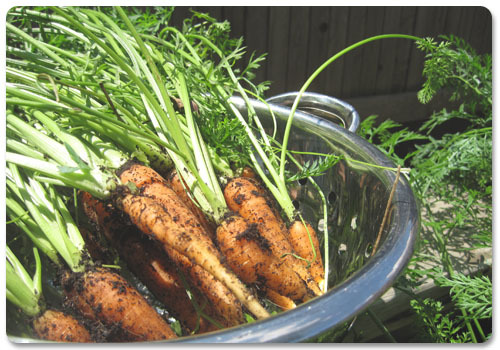 Soo… pretty and abundant (carrots)! You’ll have to come over when I have a yard and share your green-tumbness. How’s your container deck gardening going, Patti? That’s what I’m fascinated by!